A full one in ten women in the United States are affected by a serious disorder known as Polycystic Ovary Syndrome. Limited awareness of the disorder – which leads to many lifelong health complications – means women and families across the country often suffer from lack of proper diagnosis and treatment. Sara Wilson is a library clerk at Dodge City Community College and has wrestled with PCOS much of her life. When she answered a call for advocacy letters to Congress, she soon found herself enlisted on the front lines of the fight. 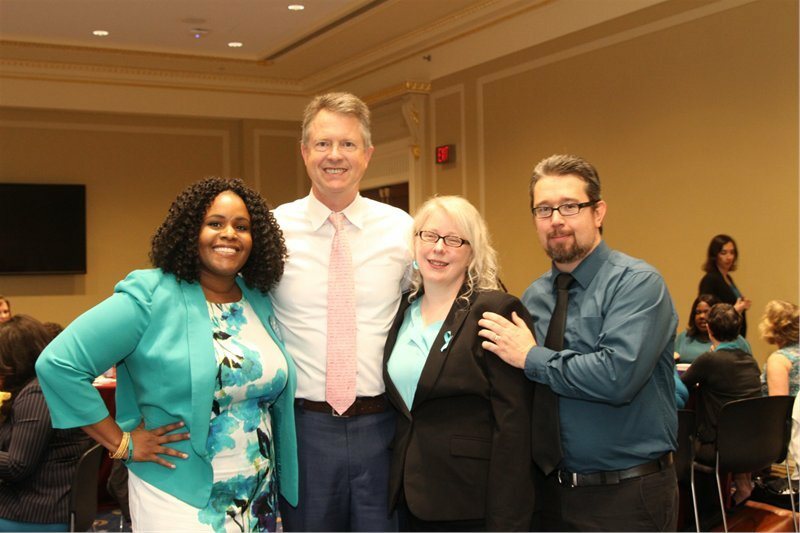 In response to her letter, Wilson was asked to Capitol Hill during National Women’s Health Week – specifically PCOS Advocacy Day – to speak on behalf of PCOS Challenge: The National Polycystic Ovary Syndrome Association, which is spearheading efforts to increase funding for research and awareness. 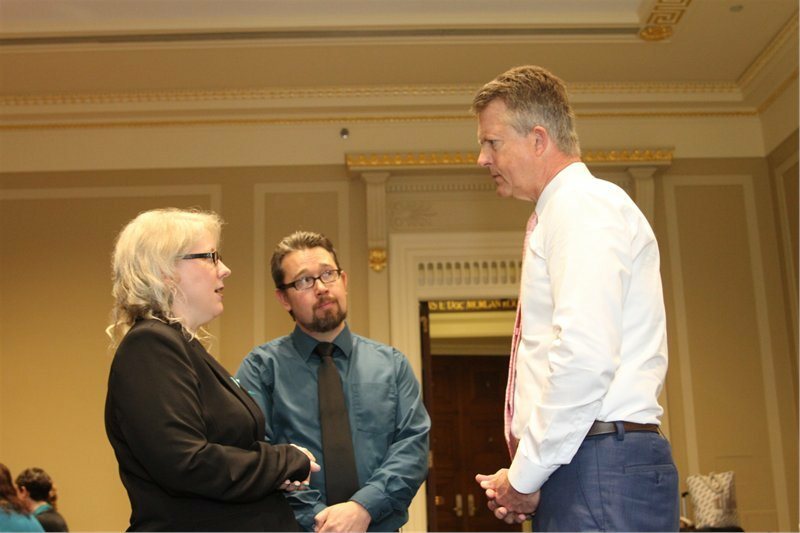 Wilson joined leading researchers, healthcare providers and industry professionals for the discussions, and she had a chance to speak to a delegation of DC lawmakers about her experience navigating the disorder. The urgency for better awareness and research is real. PCOS is the leading cause of infertility in the U.S., and is a top cause of endometrial cancer and type 2 diabetes. There are many people who suffer from various symptoms, of which they may feel worried and embarrassed to speak to anyone about. Everyone needs a bit of help sometimes in whatever they are going through. Through specialists sites like https://www.advancedurology.com, you are able to speak to a professional regarding any health concerns you may have. You’re health should be your top priority. According to Sasha Ottey, PCOS Challenge executive director, 50 to 70 percent of women with PCOS go undiagnosed or misdiagnosed. Many women are in their 40s or 50s before any diagnosis is made, and by then they are often facing cardiovascular disease, diabetes, severe skin and hair issues, liver disease and cancer. The symptoms can vary widely from woman to woman, and PCOS often presents as a collection of lingering health issues that don’t specifically show immediate connections – so misdiagnosis is common. Sometimes the misdiagnosis can leave a woman taking medication that can actually be harming to her health. If this has ever happened to you then you could research law firms like these Bridgeport personal injury attorneys to see if they can help you with your case. These misdiagnosed conditions are serious and can lead to complications. That’s what happened to Wilson. At 27, she says complications from the disorder “nearly killed” her while carrying her first child. Wilson began experiencing dangerous blood pressure spikes and other complications that could lead to brain, liver, and kidney damage to both mother and child. She had developed preeclampsia – another in the long line of complications arising from PCOS. Following a pre-term delivery, Wilson assumed the issues would resolve themselves, but she began to experience more symptoms, including weight gain, depression, and extreme fatigue – which her initial doctor attributed to eating junk food or lack of exercise. However, Wilson was eating well and working out despite increased symptoms, so she sought further opinions. Her second pregnancy went off without a hitch, but on his first night home from the hospital her son stopped breathing and had to be resuscitated by paramedics. According to the National Institutes of Health, babies born to mothers with untreated PCOS are more likely to die before, during, and immediately after birth. It took a trip to medical specialists trained in PCOS before she received a solid diagnosis. The difficulties in finally getting a solid diagnosis and proper treatment illustrate the need for better education of healthcare professionals as well as women. One of the main goals for Wilson and PCOS Challenge was to secure an agreement from Kansas First District Congressman Roger Marshall to co-chair the PCOS Caucus. To obtain that goal, Wilson and other attendees participated in advocacy training while in Washington. They were only going to have perhaps 20 minutes of the lawmakers’ time, so preparation and study was crucial. The training obviously focused on specific talking points to present to legislators, but also educated speakers on the process of getting legislation into action. Wilson said the proceedings were a bit overwhelming. Living in Kansas’ 1st Congressional District made Wilson’s story even more appealing to PCOS Challenge officials. Congressman Marshall is a respected obstetrician and gynecologist with nearly 30 years of experience, and has treated many women suffering from the effects of PCOS so his support and input are invaluable. H.Res 864 is sponsored by Georgia’s Democratic Congressman David Scott, Marshall, and 36 other House leaders. The resolution recognizes “the seriousness of Polycystic Ovary Syndrome and supports the designation of September as PCOS Awareness Month. Sara’s husband Justin accompanied her on the trip, and said that on this subject Marshall’s medical background carries a lot of weight with other legislators. The designation would significantly raise awareness of PCOS and the millions of women affected – a positive first step, according to Wilson, who is improving following diagnosis but still suffers from hair loss, weight issues, mood swings and depression, and loss of energy.